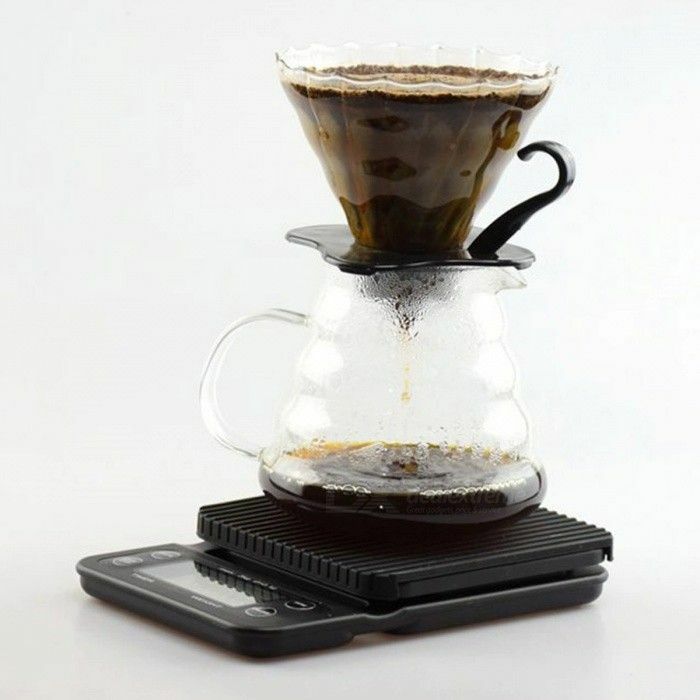 Ideal scale for measuring both the quantity of coffee in jug and the time it takes to brew. 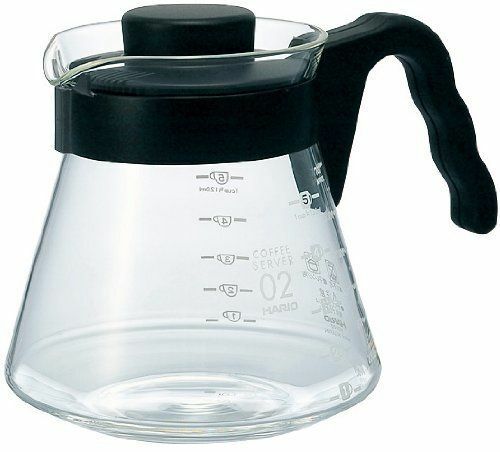 Just place the jug on the scales - press the tare function for the scale to be set at zero and put the quantity of coffee in the jug. 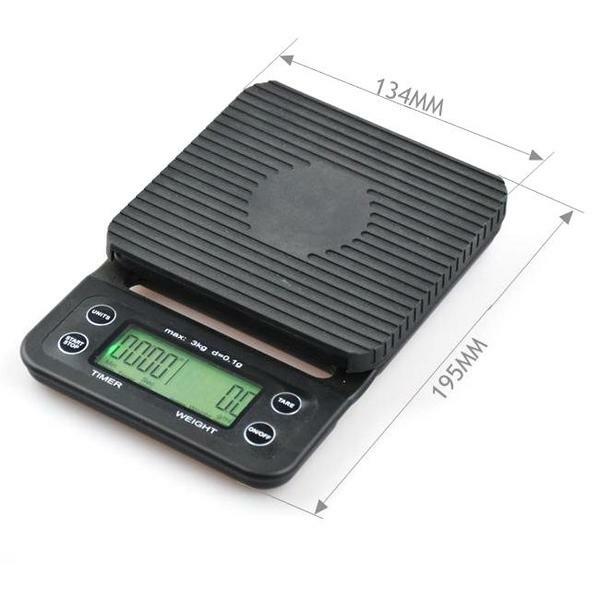 7 grams per small 6oz cup or 14 if using mugs. 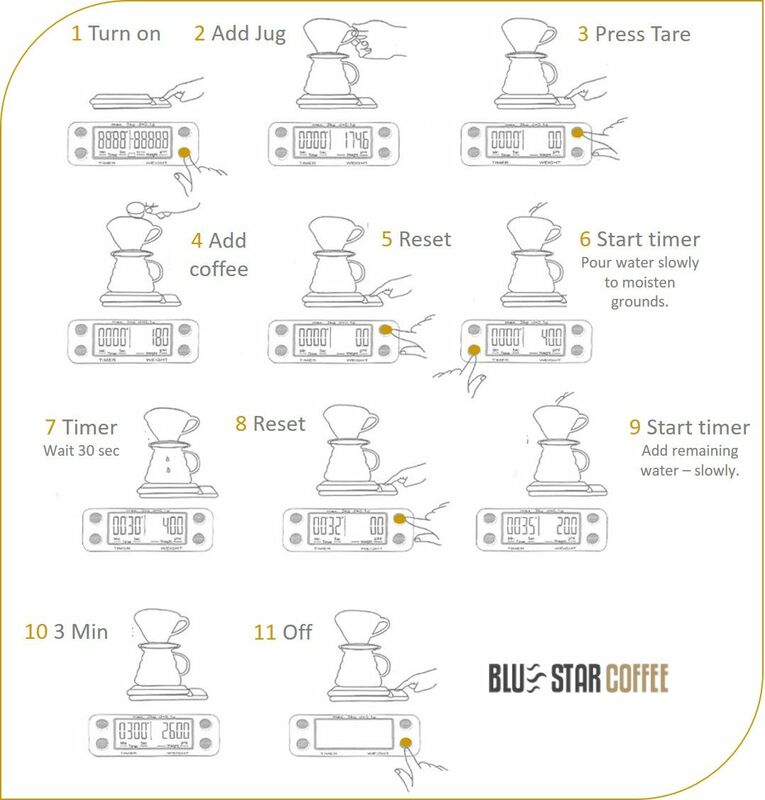 Set the timer for 5 min and - perfect coffee awaits. 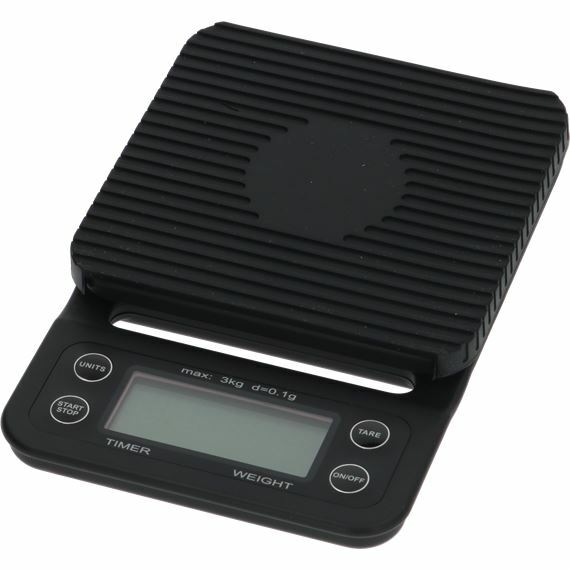 This scale's 0.1g incremental reading is maintained all the way up through higher weights, and it is suitable for up to 3kg. 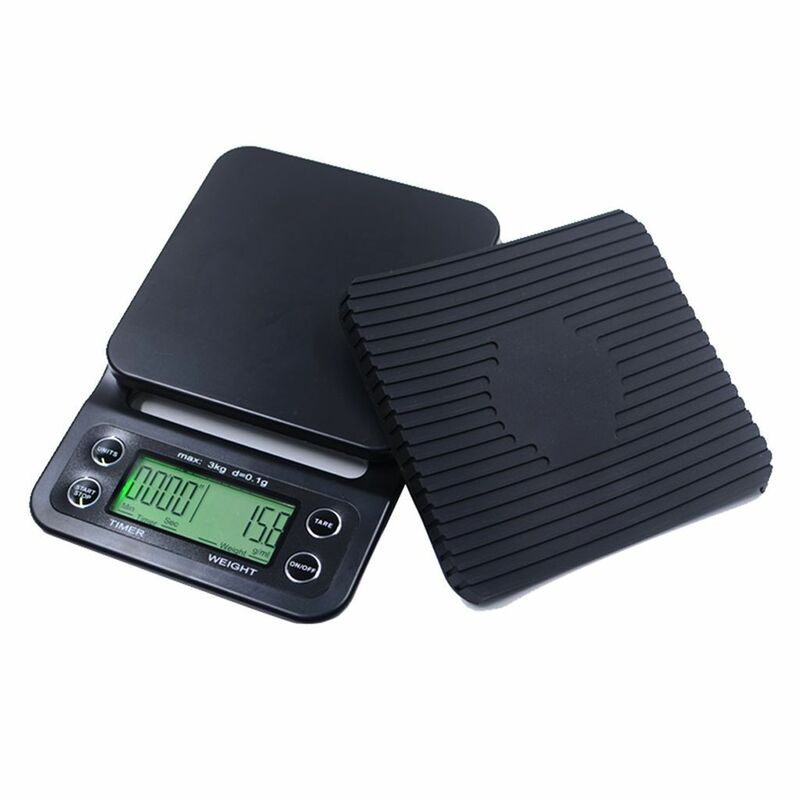 It has a large LCD with a green back light which activates when the weight on the scale changes, also making it incredibly easy to read.The heat mat will protect the scales and keep your jug in place.